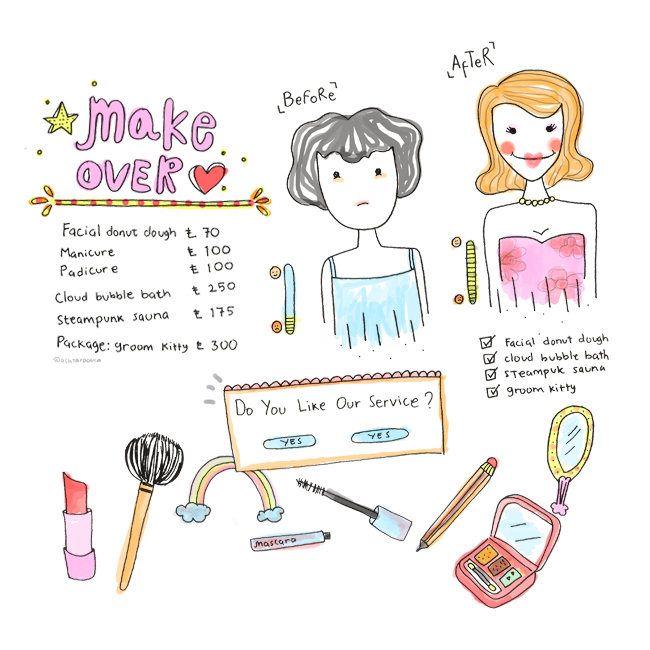 Cikita Siregar: Services in My Future Salon! Services in My Future Salon! I remembered those days when mum own a small salon inside our house. she loves cutting long hair to be as short as possible and I'm one of the victim of her barbaric cutting style haha luv ya mum! Creative & Lifestyle Blog by Cikita Siregar. Powered by Blogger.